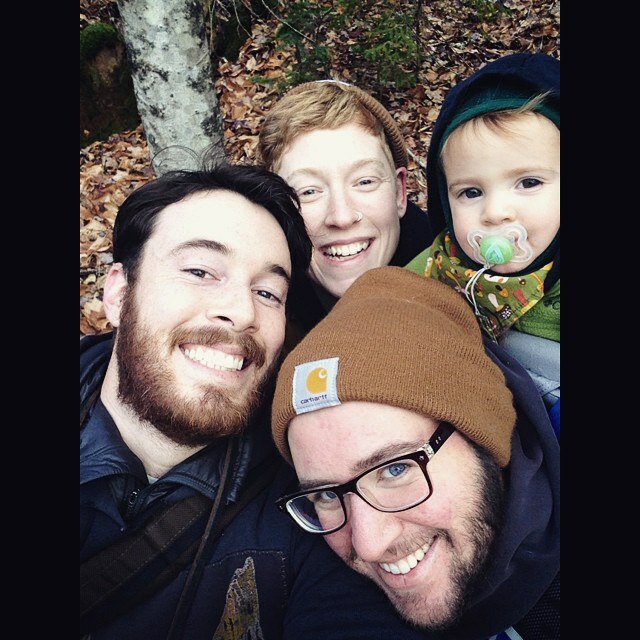 Stephen lives in the great state of Maine with his boyfriend, Josh, their daughter, Rowen ["Birdie"], their friend and housemate, Sara, and their dog, Rigby. Stephen is transgender [female to male], he and Josh built their family "the old fashioned way." They conceived Rowen and Stephen carried/gave birth to her. In addition to being a full-time stay-at-home Papa, Stephen also works as a nanny. When he isn't wrangling babies he enjoys sewing, photography and writing, but spends most of his time enjoying the outdoors with his family; hiking, camping, foraging wild foods, and watching Rowen explore her world. Last Sunday, after spending the morning playing at our local children’s museum I got Birdie settled into her backpack carrier. We headed out to participate in a march and rally in opposition to our city’s recent decision to close the clinic in Portland that offers low cost and free services including; STD testing, HIV and AIDS care, a needle exchange program, as well as general medical care. Folks from all walks of life use and have access to this clinic, but it is specifically used by those who need it the most; our refugee and immigrant neighbors, our queer and trans community, folks dealing with addiction and those who can’t afford medical care. In the time between college and "real adulthood" I lived in a series of small studio and one-bedroom apartments. I had grown up sharing bedrooms with my siblings, one bathroom between our family of five, and college had me sharing a suite with 11 other students. By the time I signed my name on a lease I was ready for a space of my own, free of roommates. I enjoyed living alone while it lasted, I liked having a space that was mine and I didn't mind the peace and quiet that came with it. Then I met Josh, who at the time was living in a collective house on the other side of town from me, sharing an apartment with five other housemates. I didn't want to spend much time at his place, as I struggle with social anxiety and I wasn't used to having so many people around. I was used to my quiet nights at home in my apartment that could comfortably fit no more than about three people. In his own words, "Collective living with shared food, expenses, and responsibilities is in direct defiance of capitalism and competition for resources. Sharing is a radical act. 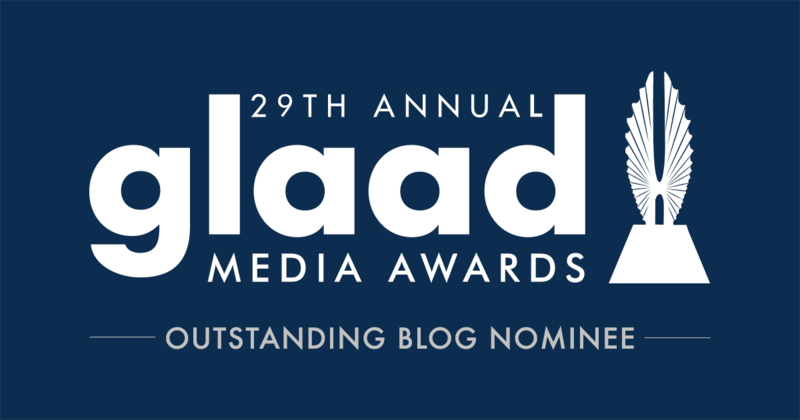 Sharing community, thoughts, food, space, and resources is a vision of how I want the world to be and is an intentional action against capitalism, heteronormativity and the nuclear family in my everyday life." When he put it that way, I saw he had a point. So we compromised. The house Josh was living in was an old Victorian, just "off-peninsula" (meaning: not in the heart of Portland), the last house before the train tracks, with a large and scrappy backyard. Historically, the two-unit home was a politically feminist, trans, queer and allied space. It was a house full of friends and community, who worked as both separate and collective entities. Josh had been living in the upstairs unit, which was two floors and housed more bedrooms. The downstairs apartment was a two bedroom well suited for Josh, me, our mutual friend (who would be our new roommate), and our dogs. I eased myself into the realities of collective living, having a small space of our own while coexisting as part of the larger collective house. There were many pros to our arrangement: When the winter arrived and brought several snowstorms with it, there were seven people shoveling the driveway and sidewalks together. When we forgot to restock our coffee, we could run upstairs at 7:00 am and grab a scoop from our housemates. When our upstairs housemate got a puppy, we babysat him at night so he didn't have to be crated while she worked. 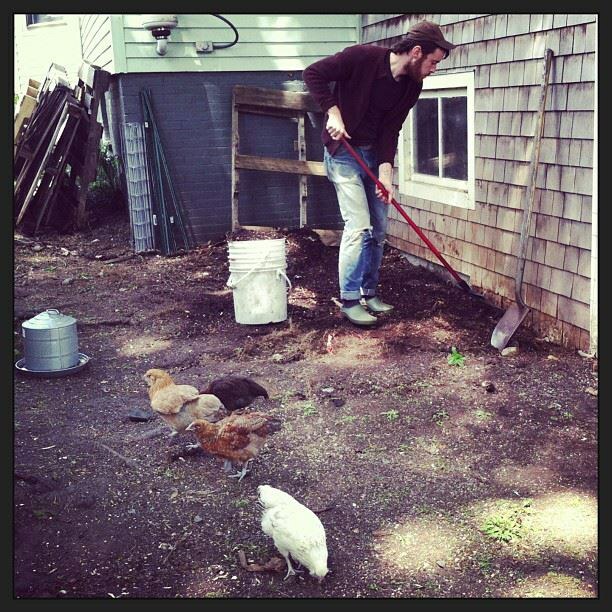 When our chickens needed feeding and tending while we were on vacation, a few folks pitched in and took care of them of us. We had beers around the campfire in the yard and house brunch on our porch in the spring. There was always someone to hang out with or talk to, and Josh and I weren't stuck in an insular bubble of couple-hood. It wasn't always perfect; we also had to negotiate sharing one laundry and dryer for the whole house, noise was sometimes an issue, and the responsibilities didn't always feel equally shared. But when issues arose or big changes needed to take place, we called a meeting and the house got together and talked about it, made agreements, and found solutions that worked best for everyone involved. After a year of cohabiting collectively, I wondered why I was so resistant to it in the beginning; the positive defiantly outweighed the negative. When we found out we were pregnant with Birdie it was a difficult decision to have to move out of our home. In many ways it would have been a great place to raise a kid and sometimes I wish we could have stayed. But our unit was only two bedrooms and while we liked our apartment, we liked our roommate more and no matter how we tried to negotiate it, the space it was just too small for three grown ups and one baby and a dog. So we called a house meeting, and broke the good news that we were going to be dads, and the sad news that we would be moving. 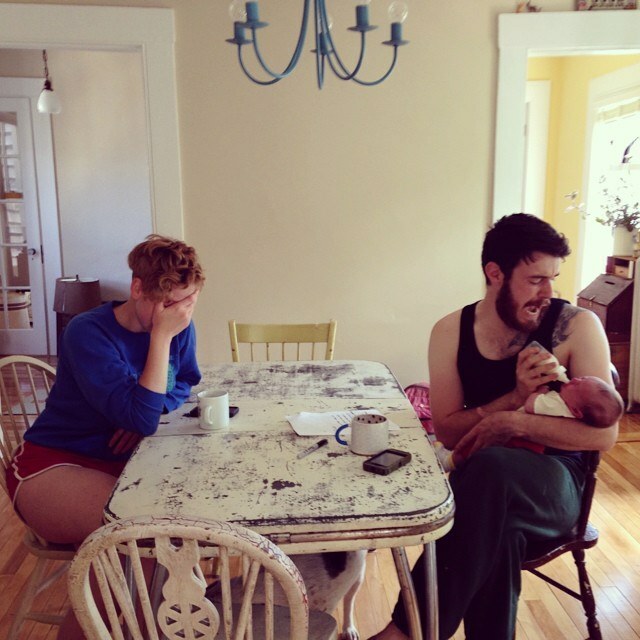 We temporarily gave up the model of a big collective house to settle into new parenthood in a smaller version of collective living, in a perfect-for-us new apartment that we moved into two months before Birdie was born, with our housemate, Uncle Osgood. Osgood is much more than a roommate, they are family to us. They are one of our very best friends as well as a live-in uncle/buddy to Birdie. As a new parent I cannot stress enough how helpful it is to have another adult to live with besides your partner. When Birdie was a newborn and we woke up bleary-eyed after an all-nighter of bottles and rocking, we found our housemate had done the dishes; I may have wept with gratitude. When I was up doing a midnight feeding and Osgood was coming home from hanging out with friends, I got a grown-up to talk to and share a beer with while I fed and changed and bounced the baby back to sleep. When school and work conflict with our schedules and we need someone to watch Birdie for an hour or so, Osgood is happy to hang out with Birdie if they can. The benefits go both ways: Osgood works as the executive director of a nonprofit for queer and trans youth, often working long hours beyond what they get paid for, and several days a week they come home to find dinner on a plate in the fridge, fresh coffee waiting in the French press in the morning, or the trash taken out to the curb. But beyond the logistics of it all, I really see now why living collectively was so important to Josh. Now that we have Birdie and I think of the things we want to teach her and pass on to her about what is important, what we value, I think of how it starts at home. 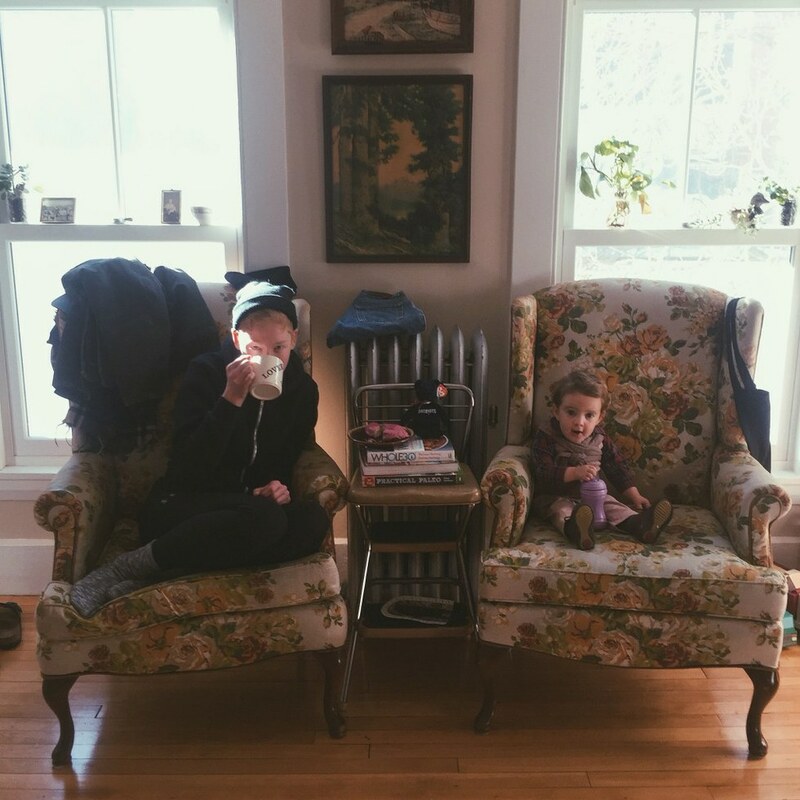 In our home we are teaching her that it is our responsibility to take care of one another, to share resources and space, and that the definition of family can expand beyond who you are related to. There is a tendency, I think, that when we grow up and move out on our own, partner and start families, to accidentally isolate ourselves. After a long day of work or school or taking care of kids more often than not it just feels like too much to socialize, to get out of the house, hell, even to get dinner on the table. But when you are living with other people (if you pick the right people), there is always someone to talk to when you’ve had a bad day, someone to help pitch in with dinner or clean up, to hang out with the baby so you can go to the bathroom alone or take a shower, to share meals and conversations with, to keep us connected to the world outside of our nuclear little family of three. We joke that our housemate will always live in our attic. It's probably not true but it’s actually really hard to think that they may not always live with us. As we talk about where will we live next, probably in a few years when we are ready for our own house and some land (we never talk about living alone), we imagine a space where we can live with other adults and families. We imagine a space that is self-sustaining, where no one person has the weight of the mortgage on their back, where everyone's skills are valued and utilized, where there is more time and space because no one person has to work 50 hours a week to make ends meet because we are all in it together helping each other out. When I was pregnant with Birdie, people surprised me with their acceptance of our family. Some people took some time to come around, but for the most part, by the time Birdie was born our community of family and friends were excited for her arrival. But, everything wasn't all rainbows and sunshine either; I lost people very close to me because they couldn't/wouldn't/didn't know how to tell their kids, who I was very close with for a very long time, that I was pregnant. On a recent warmish January day in Maine, after Birdie woke up from her nap, we decided to go on a walk. Before I left the house I put her in a clean diaper and a pair of warm tights, then I put on socks, a onesie, pants, a hoodie, mittens, a hat, a coat and boots. Once she was in the stroller I tucked a blanket around her, gave her a snack and made sure she had her doll and her pacifier. Then I clipped the leash on our eager dog, who had been cooped up in the house for too many days, and we headed out the door. We strolled around the streets, I stopped for a coffee and I asked Birdie to tell me about the things she saw as we walked; "Bird, Papa. Tree, car. Papa, doggy!" Anyone passing by could clearly see an effort was made to make sure that my child was dressed warmly to be outdoors. Anyone passing by could see that I didn't need help or advice or suggestions on how to parent. Today was a hard day. Parenting is never as pretty as it appears on my Facebook or Instagram feed. Most of the time it is, both literally and figuratively, quite messy. Today was one of those days, and though it would be easy to complain about how hard it is to parent a toddler (which it sometimes is), here I am 30 minutes before the ball drops for New Year’s getting teary-eyed and reflecting about how my daughter’s epic meltdowns today helped me grow as her parent. Birdie has a Daddy, a Papa, a Noni, two Grammies, a live-in Uncle, three great-grandmothers, two great-grandfathers, many aunts, uncles and cousins, as well as a large extended network of chosen family and community. She has many people to love and support her as she grows, and for that I am so grateful. I love to see the way she connects with and is building relationships with the people in our lives. But, someone is missing.